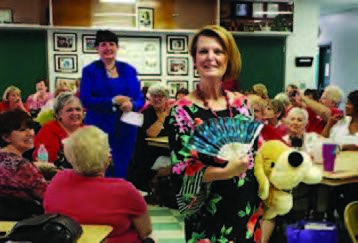 GFWC Lutz-Land O’Lakes Woman’s Club held its annual Flea Fashion Show featuring haute couture fashions culled from donations to their Flea Market. Attendance was at a record high and the room was filled to overflowing for this fun event. Eight member models strutted their stuff, which was auctioned to benefit and support the many charities and projects of the Woman’s Club. For more information, please visit www.gfwclutzlandolakeswomansclub.org or its Facebook page.